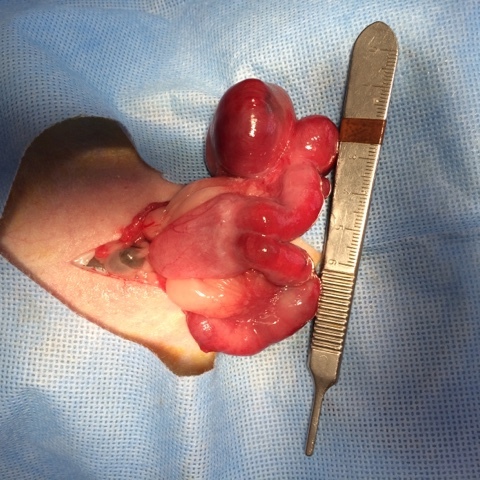 Remember that intact female rabbits must be spayed to protect their health. Cats and dogs that are not for breeding should be spayed as well! No doctor is performing PAP smears!!!! 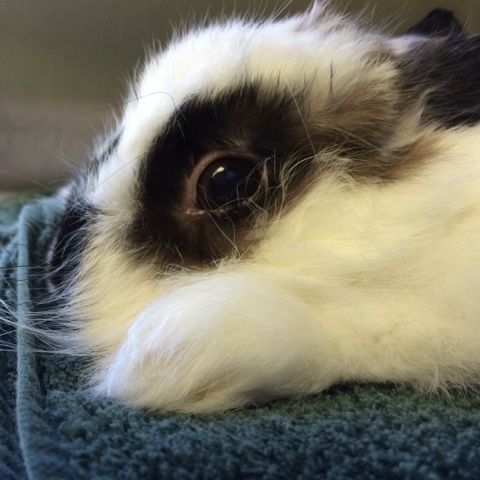 This little female six year old rabbit presented for pain. She had a belly that was distended and we suspected a uterine issue. When we explored the area, her right uterine horn had a large tumor. She is in recovery and doing fine.